Everyday women from all walks of life are making their communities, and this world, a better place through their caring hearts and unshakable commitment. 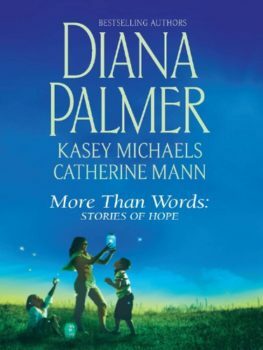 Three such women have been selected as recipients of Harlequin’s More Than Words award for their exceptional work. And three bestselling authors have kindly offered their creativity to write original short stories inspired by these real-life heroines. Includes The Greatest Gift by Diana Palmer, Here Come the Heroes by Kasey Michaels and Touched by Love by Catherine Mann. Harlequin hopes these stories inspired by strong, courageous women will touch your heart and motivate the heroine living inside you.